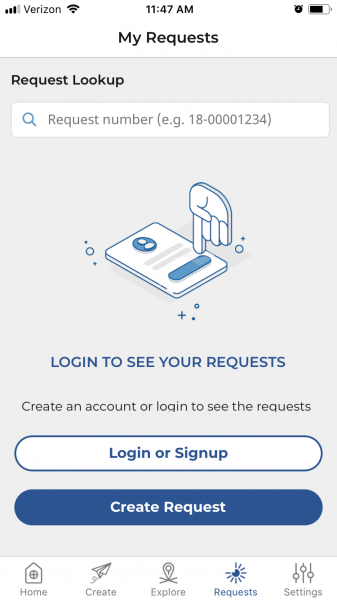 Beginning in December of 2018, Chicago apartment renters can download the iOS or Android versions of the new CHI 311 mobile app. 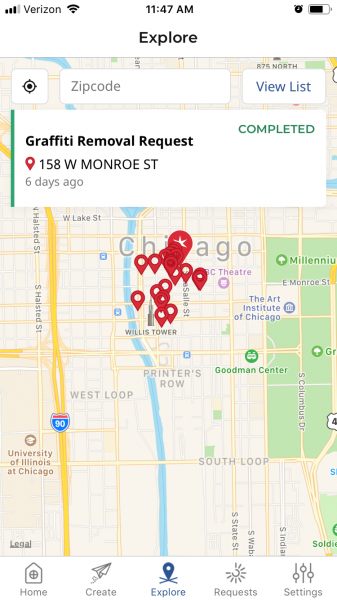 Within the app, Chicago residents can log requests and track them in real time. The old system of dialing the number and speaking with a dispatcher still works, too. Now, apartment renters in Chicago who notice that their garbage or recycling bins go missing know how to remedy the situation. 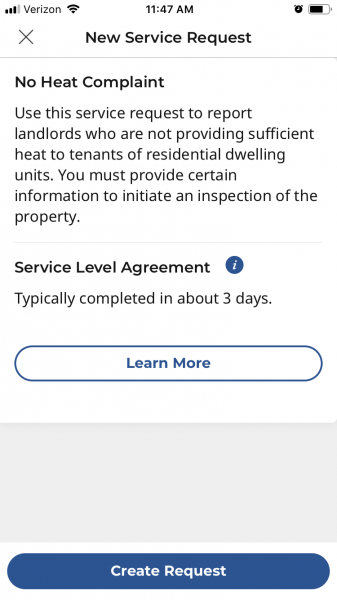 The less said about the rat sightings the better, but at least there’s some comfort in knowing that renters can log a complaint about it and monitor the progress via the app. Of course pothole repair requests rank near the top -- a persistent side effect of Chicago’s aggressive snow removal tactics each winter. But a couple of other side effects from Chicago’s notably harsh winters can be remedied via the city’s new app: residents can report that their apartment heat isn’t working, report failures to shovel snow by their apartment, and they can even lobby the city to trim trees near apartment buildings. And it can all be done in just a few taps on the smartphone screen. Another benefit of the new CHI 311 app is the interactive map feature. If apartment renters in Chicago notice that a streetlight is out or that there’s an abandoned vehicle parked on their street, chances are someone else has noticed the same thing. Renters can plug their address or zip code into the map and check on the reports that were already submitted for their Chicago neighborhood. The mobile app is the new incarnation of the city’s 311 non-emergency telephone service. Apartment renters who’ve been in Chicago for a while might already know the telephone service implemented during the 1990s, but the new version is much more user-friendly. The service was piloted more than 20 years ago to streamline the types of calls coming into 911 dispatchers and leave them available for true emergencies. Chicago residents could dial 311 for city services such as pothole repair (a perennial favorite), missing or damaged garbage bins, oversize items blocking the alleys (such as discarded sofas or mattresses), broken street lights, abandoned vehicles, and so on. While it was useful to know that complaints could be reported via the 311 service, it was sometimes frustrating for residents who called in a report. The original 311 system was a bit, ahem, amorphous in the way it followed up with reports. Whether or not the city would follow up with reports was anyone’s guess, and staying on top of reports was usually left up to the individuals who reported them in the first place with the old 311 service. The entire 311 phone system faced an existential crisis in 2014. Mayor Rahm Emanuel floated the idea of hiring a private entity to operate 311 for Chicago and save the operating expenses from the city’s budget in the process. But the taste of the infamous parking meter privatization was still fresh in Chicagoans’ minds, and the City Council pushed back on the outsourcing initiative for 311. Luckily, City Council found the political will to strengthen the 311 system with a complete overhaul. The CHI 311 app is packed with a number of other useful resources for Chicago apartment renters, making it a modern hub for all of the services that renters should expect the city to provide. The overhaul was long overdue, but now Chicago joins the ranks of other global cities that put all of their public services in a transparent and easy-to-use package.